The queens have faced deceit and near-death, imprisonment and impiety...and finally Katharine has claimed the throne. But can she keep it? Her triplet sisters Mirabella and Arsinoe aren't far away. In fact, the elemental and the posioner have been hiding out together on the Mainland since they escaped execution. All the while, bodies are washing ashore Fennbirn Island and, put lightly, the people are in a panic. Little does Katharine know, her fight isn't over. She might have power now, but an unexpected rebel army and its power-hungry leader aim to claim her crown—and will stop at nothing to do so. Meanwhile, when Arsinoe begins to have visions of the Blue Queen, a deceased royal from generations ago, the sisters enlist their friend and ship captian Billy to make the voyage back home, unbeknownst to their poisoner queen sister. With the third installment of this enthralling series finally on shelves, it's clear that Kendare Blake can do no wrong. She expertly details each emotion and every landscape, and takes us on a ride with countless twists and turns. The only question now is: What on earth will happen in the series' fourth installment—and when can we read it?! 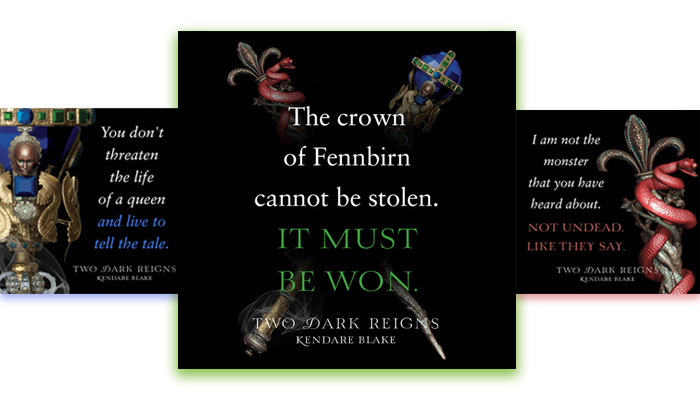 Want to win the complete Three Dark Reigns series? Just click the enter button below! Enter as many times as you want from now until Oct. 2. Five winners will be announced on Oct. 3 on the winner's page. Want it now? 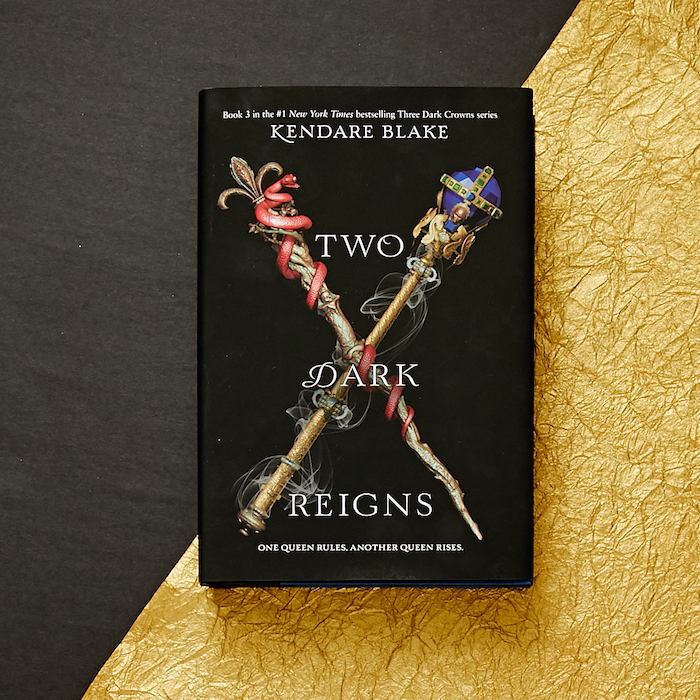 Two Dark Reigns by Kendare Blake is available from HarperCollins at bookstores everywhere now and online HERE.